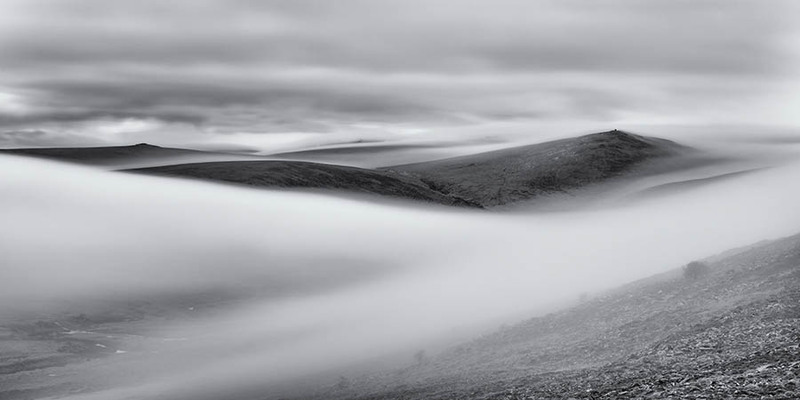 Andrew Wheatley Photography: Dartmoor Mist. Little Hound Tor and Metheral Hill appear out of the mist a little after sunrise as the most amazing cloud inversion happens on a chilly January morning seen from Belstone Tor on the northern edge of Dartmoor. Belstone. Dartmoor. Devon.